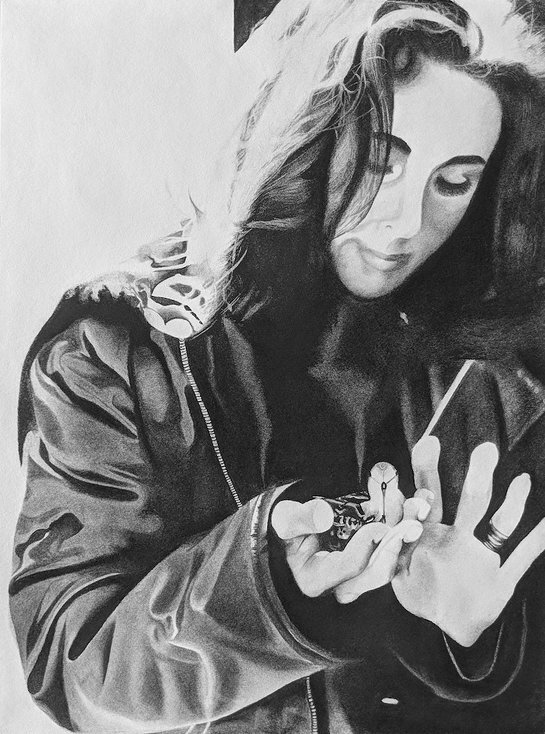 A Drawing Media portrait by a 20-year old University of Georgia student, Warrior by Isabelle Sumichrast is announced by Kathy Ireland, Chair, CEO and Chief Designer of kathy ireland Worldwide, from several dozen entries received through an invitation to submit original art depicting legendary actress, humanitarian, philanthropist and HIV/AIDS crusader Dame Elizabeth Taylor. Ms. Ireland is a strong advocate and supporter of what is commonly referred to as STEM education (Science, Technology, Engineering, & Math), to which Ms. Ireland also added Arts and Athletics and refers to as STEAMA. She serves on the boards of several academic institutions and is active in various global education initiatives. Ms. Ireland is the recipient of an honorary doctorate in Humane Letters from California State University and was recently honored with the Champion of Freedom Award by Hardwired Global, a nonprofit organization promoting the freedom of thought in various parts of the world.